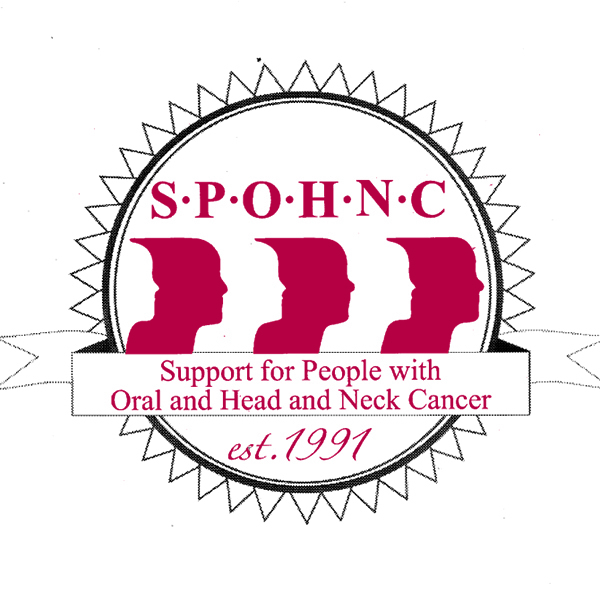 Support for People with Oral and Head and Neck Cancer (SPOHNC) was established in 1991 with the purpose of helping the more than 45,000 people diagnosed with these forms of cancer each year. Members speak enthusiastically about the importance of having a support group especially for them. Today, there are more than 125 chapters of SPOHNC around the United States. To illustrate the help available to people with head and neck cancer (HNC), CURE talked with three survivors who are now active mentors and volunteers with SPOHNC. Maria Folchetti, a Howard Beach, N.Y., resident, underwent surgery for adenoid cystic carcinoma in 2011. The doctors had to remove a portion of her tongue and she’s currently on a feeding tube. She’s not sure how she got the disease. She used to work in the catering division of an airport, she lives under the flight path, and she’s been living in the same house for 50 years. She believes somewhere in there is an environmental factor that contributed to the development of her cancer, a rare form of HNC. The disease has since traveled down through her neck and metastasized in her lungs. She has lived a healthy life and always ate organic. “I didn’t smoke, and I’m not a drinker. I told my doctor, maybe I should have done all that. He said, ‘Maybe if you had done all of that you wouldn’t be here right now!’” she says. Folchetti, 60, got involved with SPOHNC when her daughter met a man at a health food store one day. He had battled head and neck cancer himself, and when he learned that Folchetti was going through it and feeling depressed, he offered to take her to a SPOHNC meeting. “Since that day I’ve been going religiously every month. It’s like a family,” Folchetti says. Now, she’s a mentor to others. “A very strong family unit is a big help, and if they don’t have it, we at SPOHNC are that family unit. We’re each other’s medicine. At each of the monthly meetings, we tell each other how we’re getting along,” Folchetti says. A big part of her role is calling people and keeping tabs on them, making sure that they have the emotional support they need. “I have their phone numbers and I call them up and say, ‘Are you coming to the meeting? Do you need someone to hold your hand?’” Folchetti says. SPOHNC members who have been through the disfiguring and highly debilitating treatment for head and neck cancer can empathize in ways that no doctors or friends or family can, and that’s important, according to Folchetti. “We won’t judge you. You have to come, even if we just sit and hold hands. We have to be there for each other. People can say, ‘I can imagine what you’re going through,’ but nobody can imagine. You have to have lived it. We know what each other has been through, so we’re there for support,” Folchetti says. Working with others who have head and neck cancer often reminds her of how much SPOHNC has meant to her throughout her own battle, emphasizes Folchetti. She is fortunate also to have other sources of strength in her life, such as her grown children, who regularly come over for dinner and bring their own children. “I have two small grandchildren and I babysit for them. People say, ‘What do you do for medicine?’ I say I just have my two grandchildren, and I live every day. I don’t think about the illness. That’s the key. A lot of people, they’re on antidepressants and they’re constantly worried about the cancer coming back. I just tell them not to concentrate on that. You have to live in the moment, otherwise you’re going to miss the day,” Folchetti says. Dennis Staropoli, 71, is originally from Long Island, N.Y., and is now a Sheffield, MA resident. He developed squamous cell cancer of the neck in his mid-50s. Like Folchetti, he’s not sure of the cause. He wasn’t a smoker or a drinker, but he suspects that exposure to the human papillomavirus (HPV) may have been the reason. He underwent surgery a week after 9/11, so the experience is especially memorable for him. The devastation caused by the terrorist attacks also helped him to put things into perspective, so he didn’t feel so sorry for himself, he says. “It’s a lot to go through, I can tell you—especially that part of the body. All of the attendant side effects are pretty awful. It affects your swallowing, breathing. Fortunately, my body responded pretty well and I’m doing well currently,” Staropoli says. He finished radiation in 2002 and his sense of taste came back. Originally a high school biology teacher and later a middle manager in the pharmaceutical industry, Staropoli at first didn’t get involved with SPOHNC. “For a long time I just wanted to do my own thing. I have a sort of a stubborn Italian streak. I really just wanted to fight it out by myself. I really was not interested in a support group,” he says. Eventually, that changed. From doing research on the internet, he found out about SPOHNC and got involved. He described SPOHNC founder and HNC survivor Nancy Leupold and others in the organization as tremendously helpful. One day they asked him to lead a chapter of SPOHNC himself. A woman who facilitated the group at Stony Brook University Medical Center in Long Island was moving to Florida and they wanted Staropoli to take over. The island is very populous, and it was important to keep that chapter—on the eastern end—going. That was in December 2006. He accepted. There are regulars at the meetings who come to them for the reasons that Folchetti stated: a sense of family and the need for ongoing support. Staropoli says some pass through as they recover from their illness and do not desire to continue. “People come and go. Some want to go forward with positive things. There’s still a core of people who come to the meetings. It’s great, especially when there’s a newly diagnosed person who comes in. That’s really the focus of the group as it should be—to help that person, support that person—because they have so many questions. Your head is spinning from all of the information that doctors give you, and you’re frightened and anxious. Obviously, there’s a lot of emotions,” Staropoli says. Helping people come to grips with their disease and the treatment process is one of the key rewards for Staropoli. “It’s an amazing experience to go to a meeting like that and see the change that comes as somebody begins to understand what they’re going through and how to cope. That rejuvenates me. That’s what it’s really all about. The other senior members of the group feel the same way,” he says. Staropoli and his wife moved to Massachusetts five years ago, but they still make the three hour drive down to Long Island once every two months for a SPOHNC meeting. “Sharing this kind of experience is probably as close as you can come to a family,” he says. 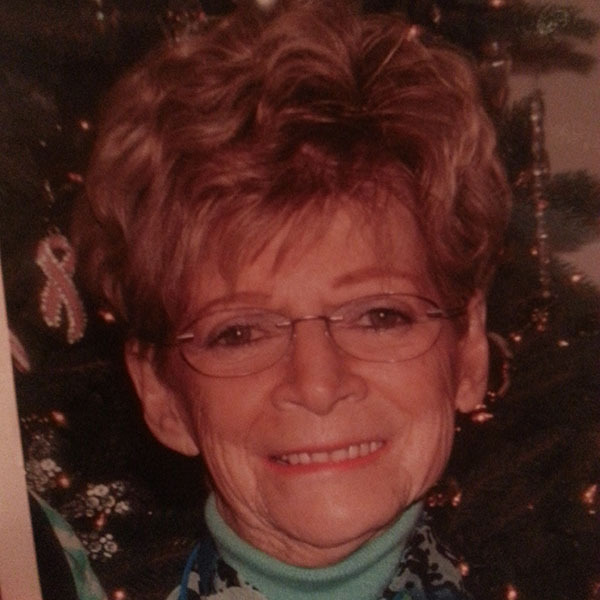 Micki Naimoli, 77, is a resident of Moorestown, New Jersey, who was undergoing treatment for diabetes when she discovered two lumps on the side of her neck that turned out to be stage 4 cancer. The former smoker underwent surgery on Halloween in 1997 and a subsequent 35 radiation treatments. She had her treatment done at the Hospital of the University of Pennsylvania, but at the time there was no support group there specifically for people with head and neck cancer. HNC is so debilitating and there are so many unique issues for people suffering from this disease that there is no substitute for a dedicated support group, Micki says, which is why she and her husband decided to form one. It began with three people, and now, 15 years later, is one of the largest and most active SPOHNC-affiliated HNC groups. “We have good turnout, and we have speakers every month,” Naimoli says. Patients with HNC go through a lot, and SPOHNC members are extremely dedicated and make sure the support net is always there for them. “Every time you call SPOHNC, they’re the first ones to help you out, or try to help you out—to find a resource for you; and that is so important. You have no idea—to have somebody at the other end of that phone. They can say, ‘Do this,’ ‘Take that,’ ‘I’ll put you in touch with someone,’” Naimoli says. Conversations at the monthly meetings often revolve around coping skills. “We talk about the feeding tubes, the medications, what we can eat, what we can’t eat,” Naimoli says. There are always new members, and the camaraderie can lead to intensely humorous and uplifting moments, Naimoli says. Naimoli says that years of being cancer free hasn’t diminished her enthusiasm for helping others who are going through HNC. She describes herself as a listener and says that’s often the best help she can provide to people who desperately need an outlet. She’s active in the community and says she will often recognize and reach out to a fellow HNC veteran. “I had a priest that I knew from church. He had the same neck indentation from the radical dissection as I do. I said ‘Father, did you have surgery on your neck?’ He said ‘Yes.’ ‘Did you have HNC’ He said ‘Yes.’ We became friends—forget about him being a priest. I gave him my card. Unfortunately he died, but we had good conversations. And I’m not afraid to do that. If I’m close enough to someone I might say ‘Hi, how’re you doing?’ And I might say, ‘Did you have head and neck? Did you have a radical?’ And they’d say ‘Yes,’ and all of a sudden, we’re friends,” Naimoli says. For Naimoli, it’s all about giving back and standing by people to earn their trust. April is Oral Cancer Awareness Month. For more information about SPOHNC, visit their website or call 1-800-377-0928.